I'm working remotely from our club today here in São Paulo. I've mentioned our club before--it's small, friendly and has been a great part of especially our kids' sports lives. It's around 10 am and the place is crawling with kids ages 1-13 years old. No, it's not a holiday (yet--Carnaval begins shortly). It's just that these kids are the afternoon school kids. This is something I never get used to here: the school day that begins at 1 pm. When we first moved here in 2008, the kids were too young for "real" school and we put them in a half-day nursery school. 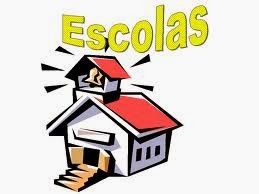 In 2009, we applied to and got them into Escola Vera Cruz, one of the best private schools (my opinion) in São Paulo. It is 100% Brazilian--we were one of the few non-totally-Brazilian families there. Because we applied late in the process (I had no clue then how crazy it was to get into a private school here--some schools have 4-year wait lists!) and we had twins who needed separate classrooms, the only spaces available to us were in the afternoon period. While it is not too strange to have afternoon kindergarten in the US, it continues far beyond kindergarten here. This is why I see tons of kids here at the club in the morning. Mornings are their social/sports times, then they go to school until 5 pm. So here is how a lot of it breaks down. The primary schools usually have two time periods a day. This is pre-K through about 6th grade, though it depends a bit on which school your kids attend. The morning kids arrive at 8 am (with their parents or in a small school van privately paid for) and they leave at 12:15 pm. That is around four hours of school if you wipe out the 15 minutes for late arrivals and chaos, and just barely over three if you also count out snack time and play time. And you are paying $12,000US annually for those four hours, by the way. The afternoon classes start at 1 pm and go until 5:15 pm. Some high schools have classes only in the evenings. When my stepson was studying to get into college in his senior year, he went to class from 6 pm-11 pm. Of course those hours work for the night-owl teenagers, but not for their parents. So kids, morning or afternoon periods, are always home for lunch. There always needs to be a maid or nanny or family member at home to care for the kids. While many are kept busy in clubs or academies of swimming or martial arts in the off-period, you are still talking about responsibility of the parents, or a trusted taxi driver, to get them there. In the US, kids this age go to class from 9 am - 3 pm. Barring lunch and recess, that is five hours of school at least. We don't have them at home for lunch. Many after-school activities are at the school. My kids go to an international school here and attend from 8 am-3:15 pm. Two days a week they have afterschool activities until 4:30 pm. Personally I think it's a better use of everyone's time. In terms of hours per year, we may be even--I will have to look it up. We have a longer winter break in June-July, but a shorter summer one in December- January. Recently there has been a movement to change to "escola integral" or full-day school. Brazil's education system is routinely at the bottom of the heap worldwide and this is one of the ideas to give it a kick-start. This is one article on the benefits (sorry, Portuguese only). It is one of the areas where I will come straight out and say that I like the American system better. I think kids should be in school all day. There is no way someone's nanny is going to be able to provide learning experiences for kids at the level of a school. And rare is the parent who has the financial wherewithal or patience to stay home and provide the education themselves. I'll just never get used to seeing elementary school kids around the club at 11 am. It just doesn't feel right. I agree that the school hours are tough for parents but then again, 9am to 3pm isn't great either if you have both parents working full time. In both cases, I think it's a legacy of when a lot of mothers stayed at home (not to mention that a full day at school would be too tiring especially for the smaller kids). However, I wonder if the school hours have been shortened in Brazil in recent years. In my days ("In my days, we had gramophones...", no, not quite that bad), morning classes were 7:00 to 12:30 with a 30 min break and afternoons were 13:00 to 18:30 (with a similar break). In both cases, it was still a solid 5 hours. And, at my school, towards the end of secondary school (in preparation for "vestibular") we had both morning and afternoon classes some days. I mentioned this to a friend (about shorter school hours) and she said yes, that many schools are dealing with having three "turmas" per day so they had to end at 12, start again at 1, end at 5, start again at 6. I don't know about this--that was not my experience in the infantil schools. Colegio Santa Cruz is 7:00 or 7:30 to 1, I believe so maybe it just depends on the school. Is the school year longer to get all the required hours? I don't know. I've been meaning to look at required hours here and in the US. I agree that school being all day is not possible for small kids (through kindergarten) though our IB school did go full day at kindergarten (8-3). My kids have always been electric so they did fine. I know some other kids suffered. And you're right 9-3 isn't great either but it's fewer hours to scramble a babysitter. Yes, I remember hearing that the holidays are shorter these days because the government increased the number of days (hours?) per school year. At least that was the case with universities but it's probably similar with schools. The one advantage I see with the morning and afternoon classes is a better use of resources. With the same number of classrooms, a school can teach twice the number of students. That's probably a significant saving but whether it's worth it in the long run is anybody's guess.